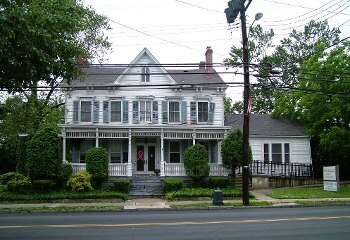 MILLTOWN, NEW JERSEY: Last Friday marked the end of the fight to save The Forney House (circa 1860’s) in Milltown, NJ. And why was this old beauty torn down? To build a Valley National Bank. Just what we need. A bank. Even scarier is that the exact same thing happened to the Victorian across the street ~ which was demolished to build ~ you guessed it ~ a bank. In a town of 7,500 residents, it would seem that 4 banks are enough. HISTORY: In 1907 Dr. Norman Forney Sr. came to Milltown with his horse and carriage and began practicing medicine. The home where he lived and practiced was built in the 1860s by John Evans, father of Milltown’s first Mayor, John C. Evans. Dr. Forney Sr. was later joined by his sons, Norman Jr. and Charles. They owned and operated the clinic in this building until 1980. The house was then sold to Dr. Sharma, who continued to practice there and rented the house to tenants as recently as 2007. The building was found “Eligible” for listing on the New Jersey and National Registers of Historic Places by the State Historic Preservation Office, which also deemed it eminently “rehabbable” in 2008. 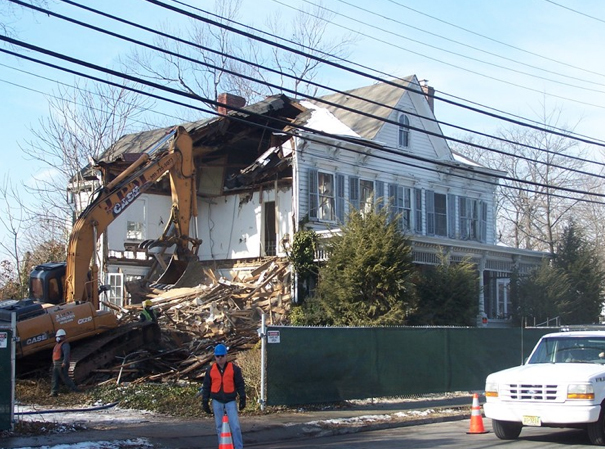 [From the Milltown Voice] “Resident Michael Shakarjian, president of the citizens’ group, said the demolition of the house could have been prevented if there had been greater scrutiny of the process on the part of elected officials. Email the whitehouse to ask that we strengthen the Section 106 Laws, so that this doesn’t happen again. Better yet, ask that Historic Preservation Ordinances be mandatory.